The National Women's Soccer League kicks off for its 7th season today. Four of our VAVEL writers give their predictions for the season. In just a few hours the first two matches of the 2019 NWSL regular season will kick off. The off season was much less interesting this year, with no blockbuster trades or signings, it felt like the league was in hibernation from last September when the North Carolina Courage won the 2018 NWSL Championship until preseason opened at the beginning of March. Now, after over 200 days of waiting, the season is set to begin again. The biggest storyline of 2019 will be how teams deal with the upcoming 2019 FIFA Women's World Cup in France. The tournament, which will run from June 7th to July 7th will take about 40 NWSL players away from their club teams for somewhere between one and three months depending on how the various federations schedule their camps. It is widely expected that players on the United States women's national team will be gone from early May through late July, while players from less developed federations, like New Zealand, will be gone for much less time. Thus, while we might see international superstars for the first three weeks of the season, there will be about nine weeks of league play where the best soccer players in the world will be missing. Depending upon how successful the USA is at the tournament, the players might miss even more time than that. Despite the obvious downsides, the World Cup is expected to boost ticket sales and league revenue significantly. In 2015, after the United States won the World Cup, there was a 20-30% increase in league attendance. The league seems poised to capitalize on the increased publicity, but recent turnover and instability in the front office - such as a move from New York City to Chicago - threatens to inhibit the potential gains. Around the league, a few changes occurred. Seattle Reign FC moved from Memorial Stadium to Cheney Stadium in Tacoma, WA. The move out of Seattle also came with a rebranding to simply Reign FC. The Orlando Pride, Washington Spirit, and Houston Dash all have new head coaches for 2019. The Orlando Pride hired Marc Skinner, the Washington Spirit hired Richie Burke, and the Houston Dash hired James Clarkson. Each of those coaches have an uphill battle with many of their star players gone for much of the season and limited time to evaluate and recruit down-roster talent. 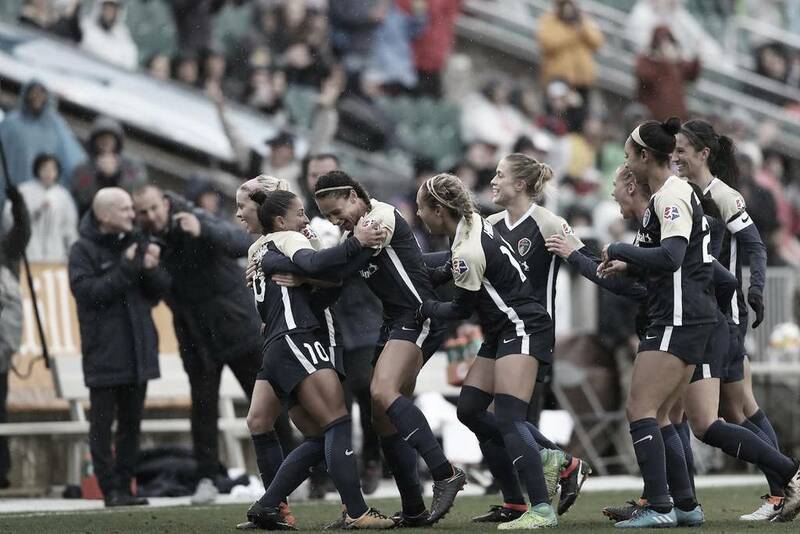 The North Carolina Courage put together the most dominant season in NWSL history in 2018, and they look like the team to beat once again in 2019. The lack of big changes around the league make them favorites to repeat, but it won't be easy. The World Cup is going to wreak havoc on NWSL rosters and some good teams might have fallen into deep holes without their starters. A few of our writers took the time to make more specific predictions as well. Michael Cardamone picked the North Carolina Courage to repeat as champions by beating the Thorns. "I still believe that these are still the two best teams in the league at full strength, and they have the depth to be able to remain competitive when the World Cup players are away. " Michael's bold prediction was; "Sofia Huerta reaches double-digit goals and assists and is named league MVP." Kayleigh Toney picked the Courage to beat the Red Stars in the final. "The Courage are still going to be dominant even without key players and I think that Chicago finally makes it to the final but Courage repeat as champions." "Houston Dash will make the playoffs" was Kayleigh's bold prediction. Felix Hernandez also picked the Courage triumphing over the Thorns in the championship. "North Carolina Courage and Portland Thorns FC will meet in the NWSL Championship with the Courage earning back-to-back Championships. It will not be the dominate North Carolina of last season but they will still win the NWSL Supporter's Shield as well. Chicago Red Stars and Reign FC will return to the playoffs. Chicago will be bounced in the semi-finals for the fifth straight time. Reign FC will sneak past the Houston Dash for the last playoff spot. 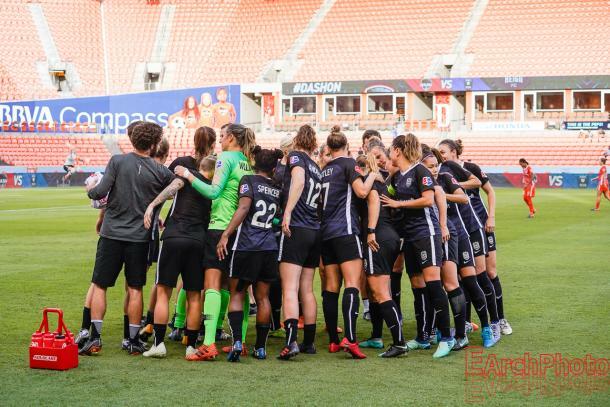 Orlando Pride will have another disappointing season with their core away for the WC, another year older and none of their major issues addressed in the offseason." "Veronica Latsko will win the golden boot. After arguably being snubbed out of Rookie of the Year and a strong W-league campaign in Australia. Latsko will take advantage of all the players gone to the World Cup to build a NWSL goal lead." Aaron Bellamy was the lone person to pick the Chicago Red Stars winning over the Courage in the final. "Chicago has a world-class midfield and striker setup, and the addition of Tierna Davidson to the back line should provide them with the talent necessary to finally get past the semifinals." His bold prediction is that "Lynn Williams will break the league scoring record, and Sky Blue FC will finish ahead of Utah Royals FC in the final standings." I hope you enjoyed our predictions and are as excited as we are for the start of the NWSL season today!